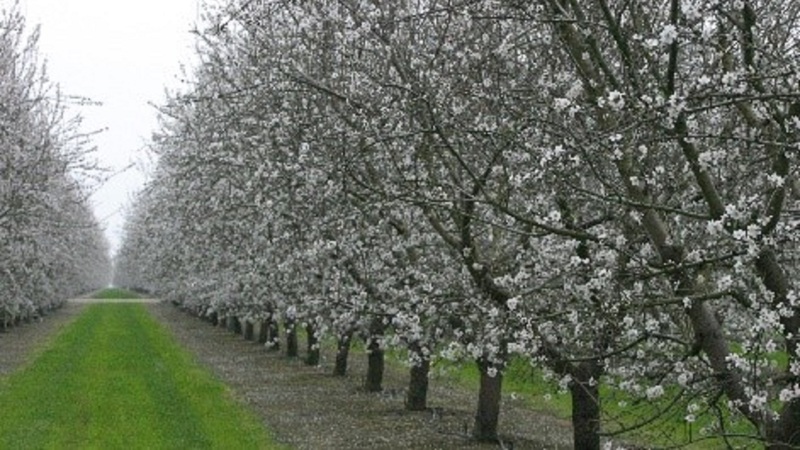 Between mid-February and mid-March, almond trees burst into light-pink blooms, attracting honey bees with their pollen and nectar (southern California usually blooms 2-3 weeks earlier than the north). While these blooms are beautiful, they also serve another purpose. They notify us that it’s time to be on the look-out for harmful diseases. This water mold impacts the integrity of a tree’s root system, which affects yield potential for multiple years. When it comes to preventing infection, water management is key. Avoid stagnant water around the base of your trees. Be proactive in protecting tree roots by using Ridomil Gold® SL fungicide early in the season. Ridomil Gold SL offers long-lasting protection against soilborne diseases, including crown rot, collar rot and root rot caused by several Phytophthora The best time for Ridomil Gold SL application is at bud break. Waiting to apply until the tree is fully leafed would miss the best window of protection. This common fungal disease first attacks by infecting all parts of the bud flower and then moves into and kills the wood tissues of the tree. Flowers can be infected from pink bud to petal fall and are most vulnerable when fully open. Apply a broad-spectrum product like Quadris Top® fungicide to provide more complete protection from early bud to petal fall stage to protect the susceptible areas of the tree. If you detect brown rot blossom blight, immediately remove the infected plant parts and rake up any fallen fruit or debris. For more information, talk to your Syngenta representative.